Browse: Home / Egression – tools for testing the data loss prevention controls on a corporate network. Egression – tools for testing the data loss prevention controls on a corporate network. 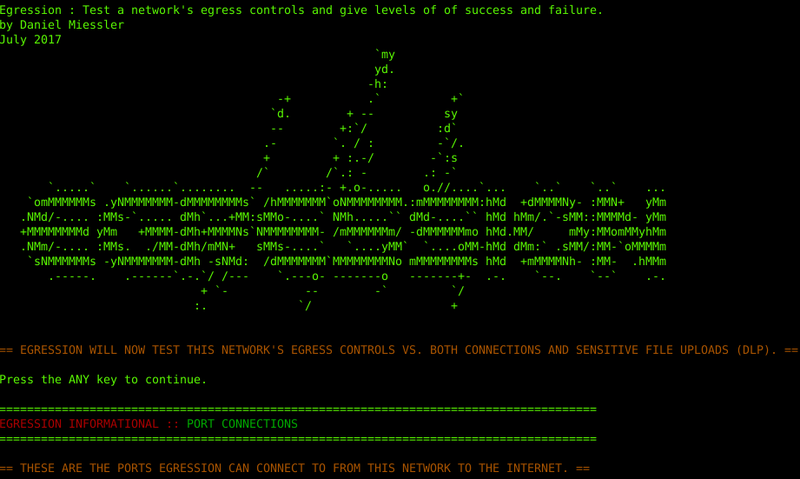 EGRESSION is a tool that provides an instant view of how easy it is to upload sensitive data from any given network. It starts with a sensitive file with these contents, which is stored locally in plaintext. This file is used to test the egress / DLP controls on the network by attempting to connect outbound and upload this file using various techniques. Many tools of this type work by testing outbound port connections alone, but Egression works by actually uploading a sensitive file to the internet in a number of ways. It has four (4) levels of testing. – INFORMATIONAL: Tells you if it can connect to ports ont he internet. – LEVEL 0: Tells you if it can FTP a file to the internet in cleartext. – LEVEL 1: Tells you if it can SCP files to the internet over various ports. – LEVEL 2: Tells you if it can send the same sensitive file to the internet via DNS queries. It does each of these in succession and then reports on which levels it failed to block. 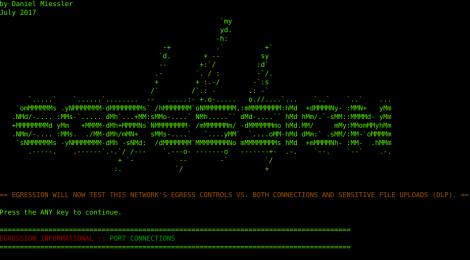 ← hostbase – A bash script for advanced rogue AP attack.